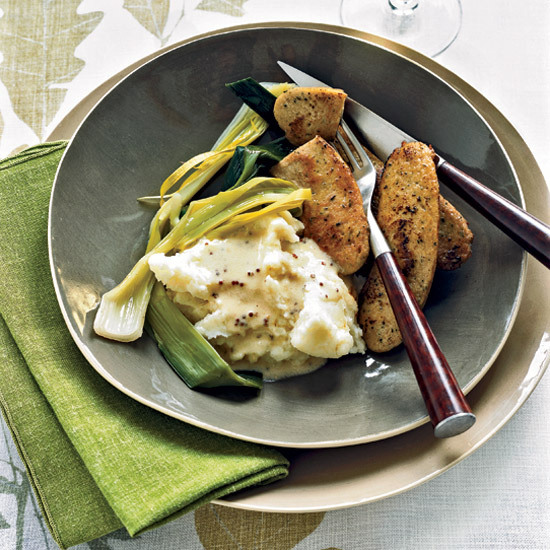 From harissa-crusted pork crown roast to boudin blanc with leeks and mustard sauce, NFL heavyhitters round up their favorite pork recipes. Why? 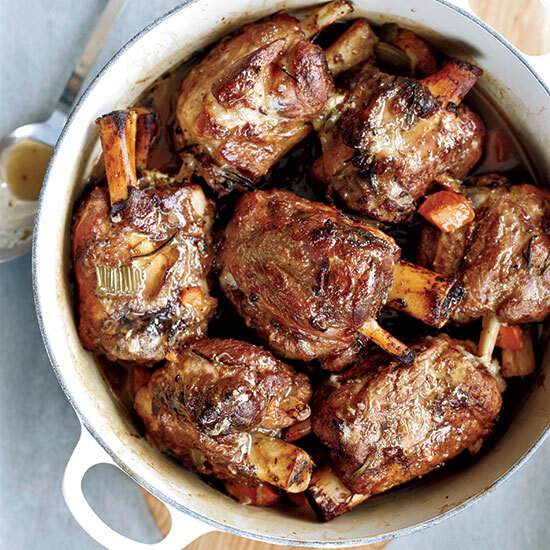 The Cowboys’ tradition of beefy linebackers makes us think of these thick (and delicious) pork shanks. 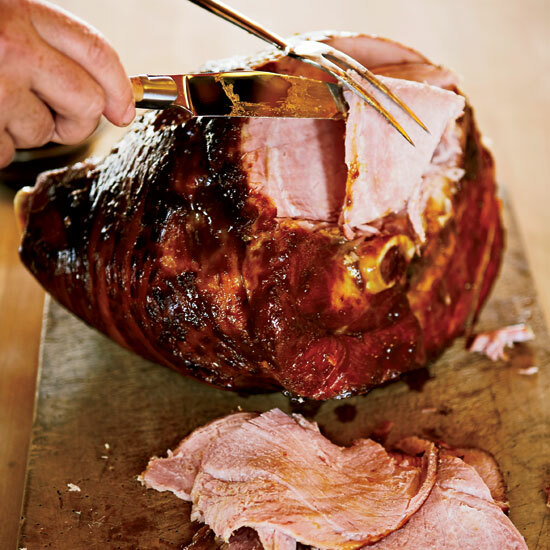 After a lengthy braise, the tender pork is a perfect filler for quesadillas, making this recipe as much of a Dallas double threat as quarterback Tony Romo and wide receiver Terrell Owens. Why? 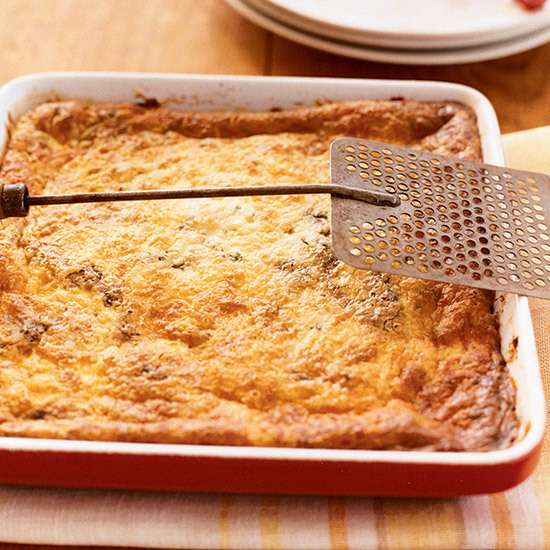 Green Bay’s famous “cheeseheads” will love this bacon-studded cheese custard. Why? 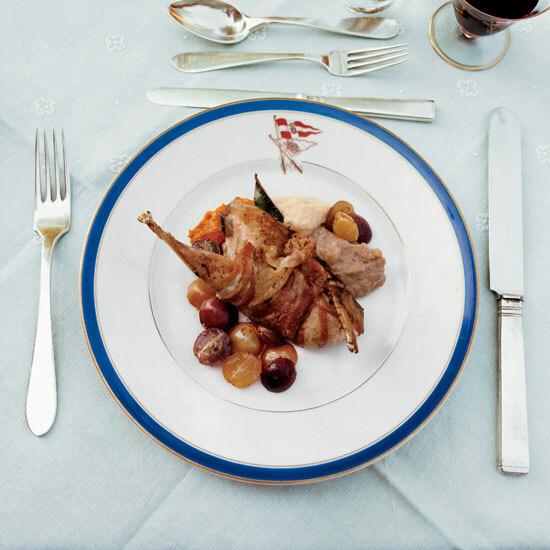 What could say “Falcon Football” more than exquisite game birds wrapped in bacon? Why? 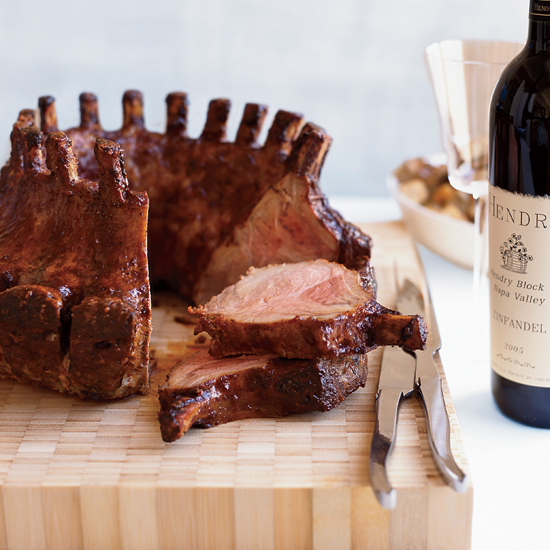 To the victor goes the spoils, and to the winner of last year's Super Bowl goes this fantastic crown pork roast. Why? 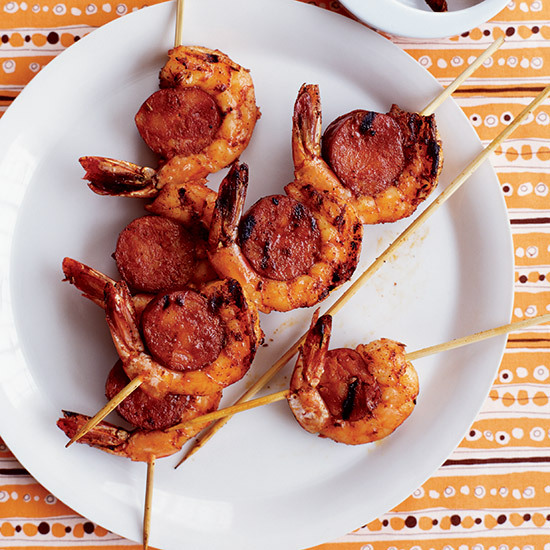 Spanish explorer Ponce de León discovered Florida and provides the inspiration for these spicy shrimp skewers seasoned with Spanish chorizo. Why? Much as we love the Lions, we have to admit they're slow to win, and their President and CEO Matt Millen is in a bit of a pickle. 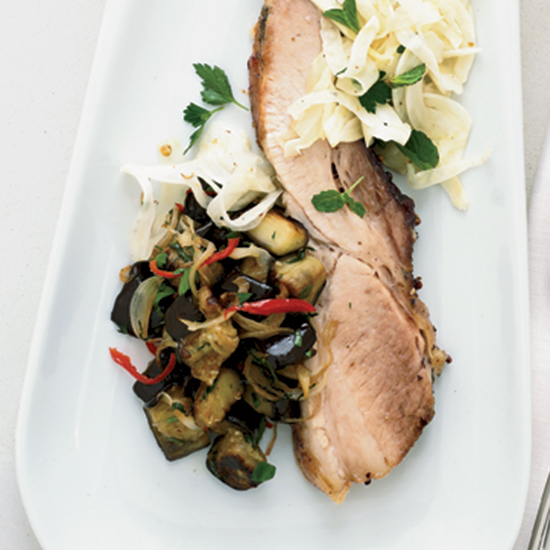 But hopefully this season will be just as memorable as this slow-roasted pork belly with pickled fennel. Why? 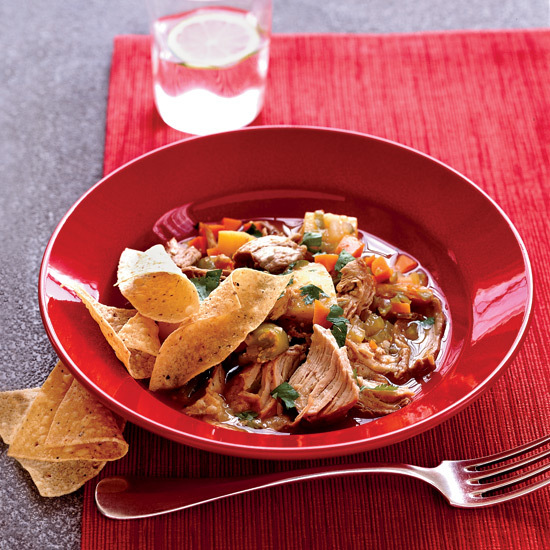 A southwestern dish seems in order for the Arizona Cardinals; we love this healthy pork stew lightly salted with tortilla chips. Why? 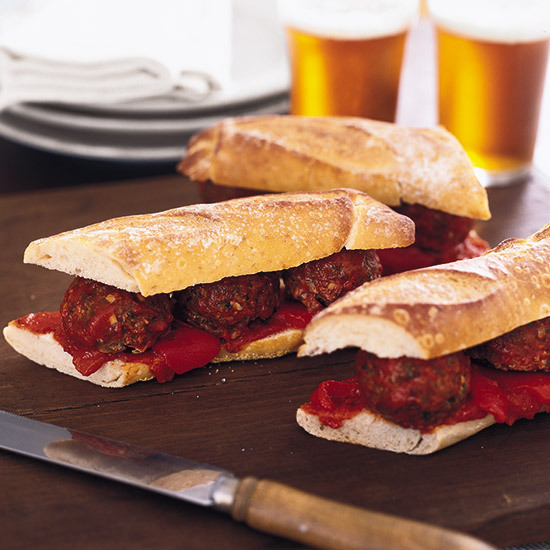 After the Philly cheesesteak, our favorite Philadelphia sandwich might be the meatball sub. Why? Chef-fan Giuseppe Tentori of Chicago's Boka loves tailgating with ribs and sausages at Soldier Field. Why? Last year's NFL Rookie of the Year, running back Adrian Peterson of the Minnesota Vikings, proved to be one of the fastest men on turf. 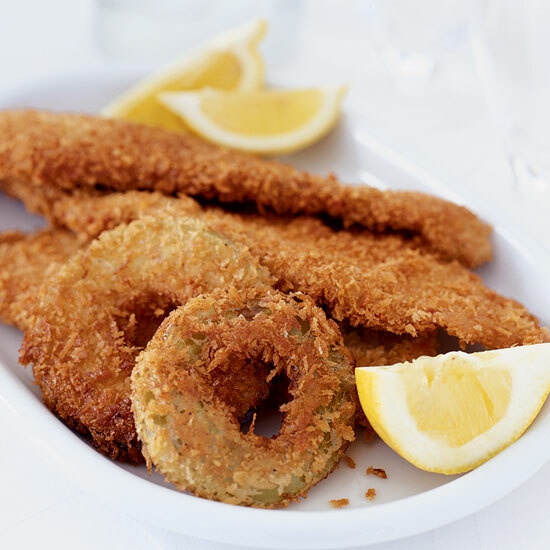 So for him we picked one of our fastest pork recipes: quick fried pork tenderloin with apples. Why? 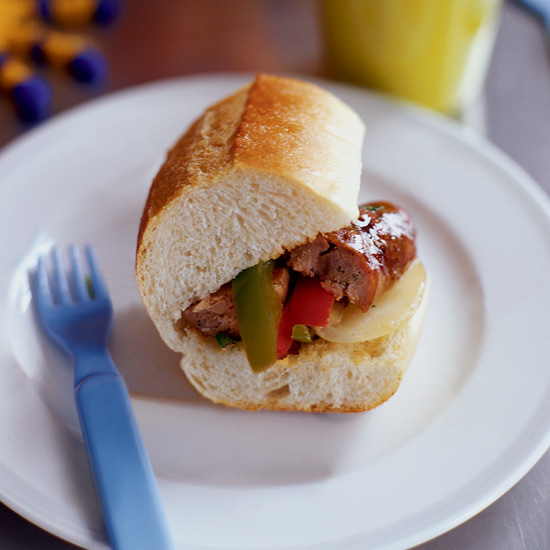 You don't have to be a Saint to appreciate the beauty of a traditional New Orleans pork boudin sausage. Why? 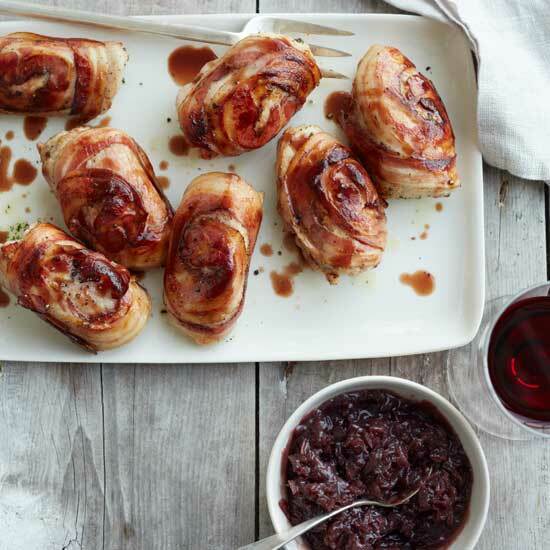 Named for the Gold Rush of 1849 that helped turn San Francisco into a major metropolis, one of the great franchises of the NFC West deserves nothing less than medallions—of pork tenderloin, that is—pan-seared, with pancetta and topped with a sweet onion marmalade.